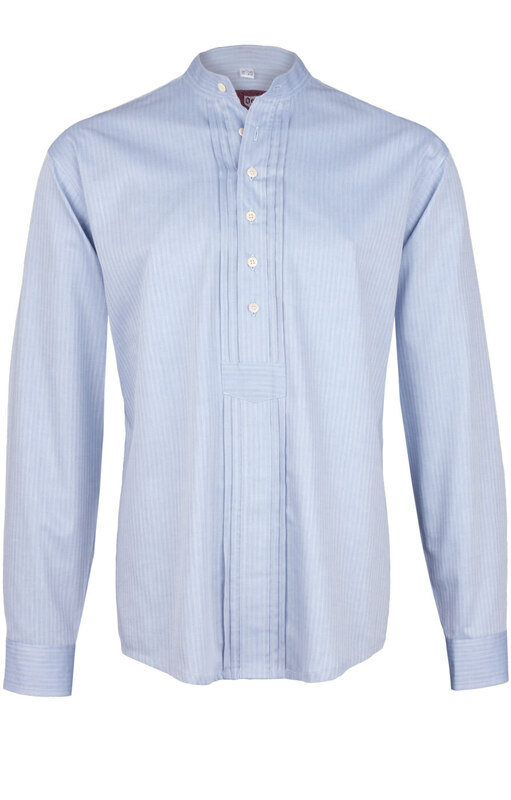 German traditional shirt in light blue. 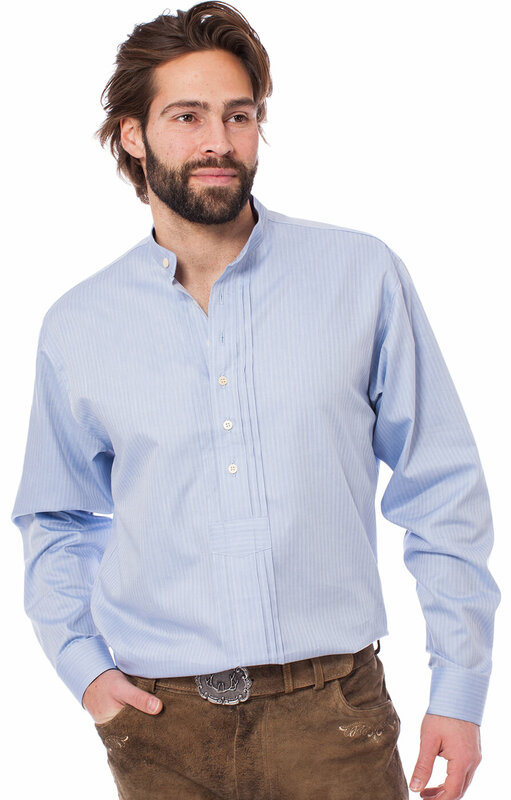 A high-quality cotton men's shirt with a slightly loose fit. 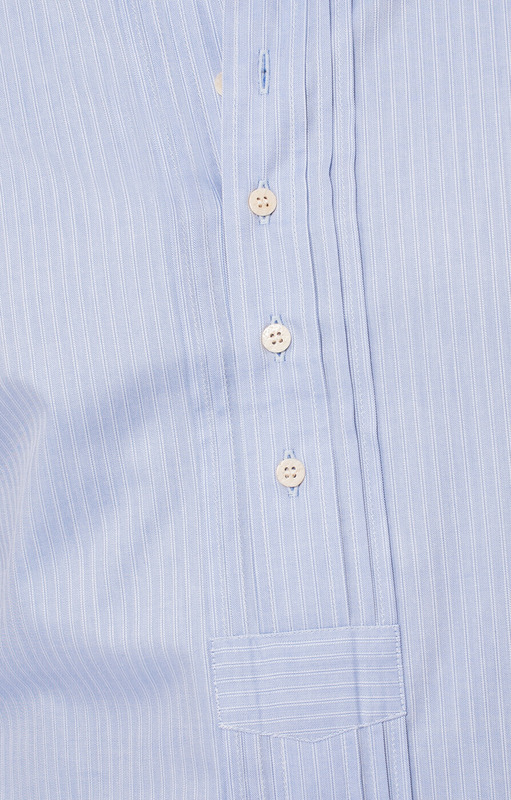 Collarless, in the traditional Trachten style, with narrow pleats on the front button panel. 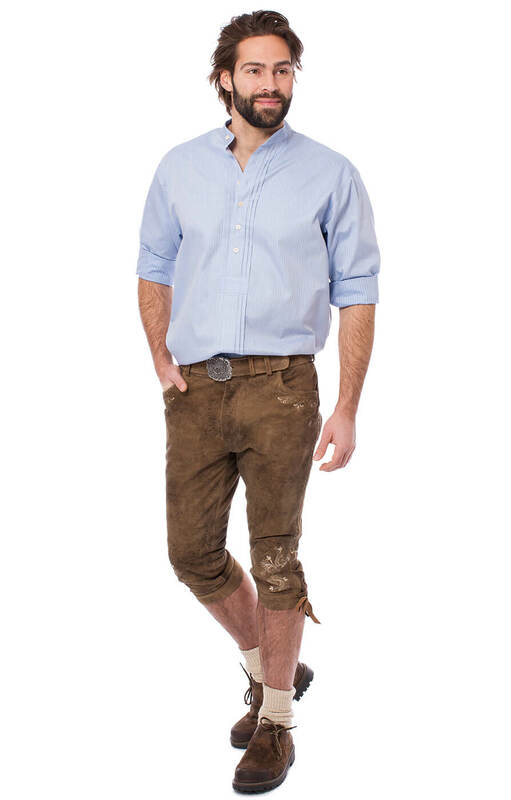 Roll the sleeves up to the elbow and team with a pair of Lederhosen for an effortlessly casual look at the Oktoberfest. 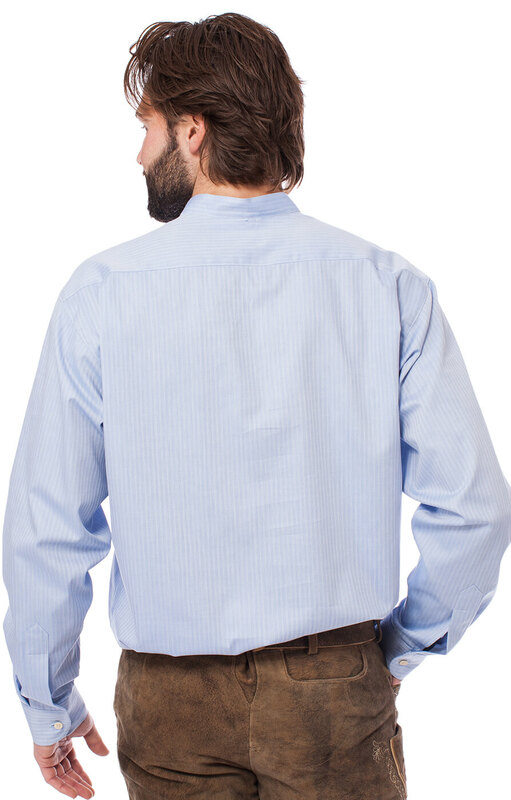 Top!!! 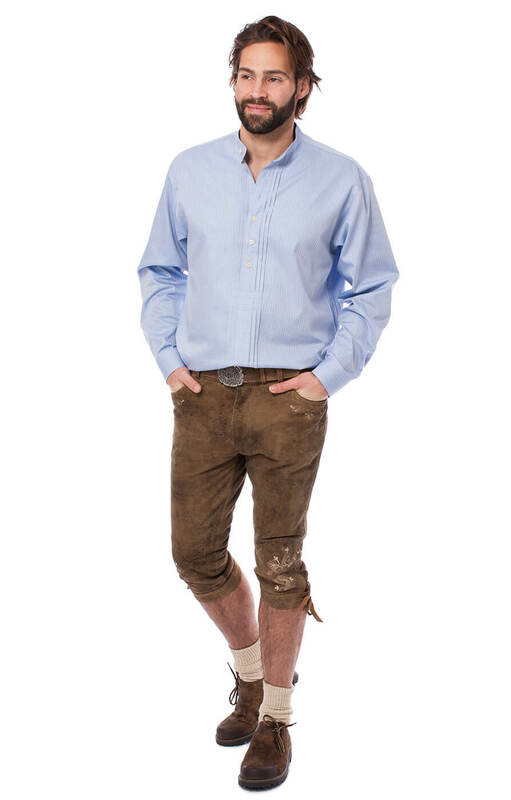 Gute Qualität, schnelle Lieferung! Einfach gut!